Woo-hoo! It’s Halloween season! Time to start my annual tradition of marathoning all my favorite horror movies! 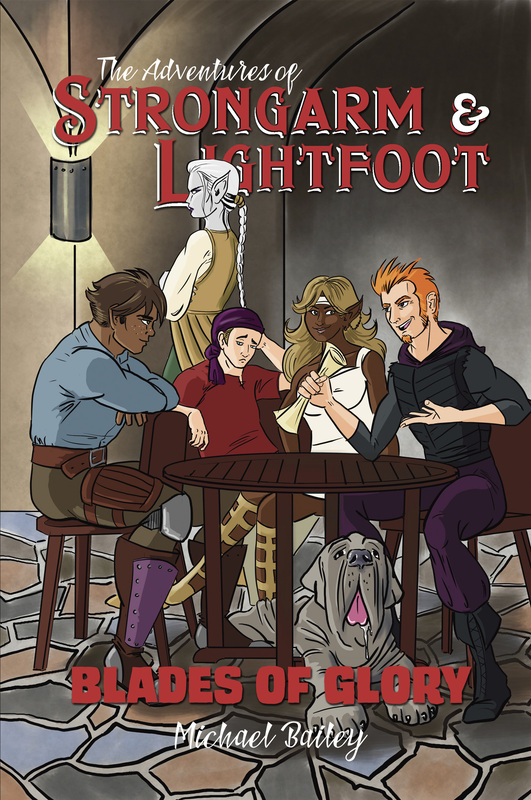 It’ll be a nice capper to what was a busy September — a month that culminated in the release of the third book in the Adventures of Strongarm & Lightfoot series: Blades of Glory! The Kindle edition is available on Amazon today for just $3.99. The print edition will be coming later this month, as will direct sales of the print and e-book editions on this site. Now that this is in the can, I can really focus on other projects and maybe get the first draft of my new urban fantasy trilogy, Well Behaved Women, done. I’ve teamed up (ha) with more than 20 other superhero fiction writers for a special month-long giveaway promotion. Jump over to our group page on Instafreebie and choose from several titles for all ages and tastes. Sign up for their newsletters and get a free e-book as a thank-you. Sign up for my newsletter and you’ll get a copy of Action Figures – Issue One: Secret Origins! Well Behaved Women: I inched past the 72,000 word mark last week but didn’t get much done due to a busy work schedule. This will be my main focus through the rest of the year.